A few years ago I wrote an article about southeast Asian crab-eating snakes, the only snakes (at the time) known to break apart their food instead of swallowing it whole. Although I ended that article by wondering how many more strange snake dietary adaptations we might discover, I didn't actually anticipate writing a sequel to that article—it was so unique that the BBC filmed it for their series Life in Cold Blood, and I doubted that anyone would discover another snake that tore apart its prey. You can imagine my surprise when recently I was asked to review a paper about another snake that breaks its food apart! I was also delighted that this snake was a scolecophidian, because I feel that they are underrepresented both on this blog and in snake biology in general. It is a bit unsatisfying that it is the Brahminy Blindsnake (Indotyphlops braminus, formerly known as Ramphotyphlops braminus), the best studied scolecophidian by far by virtue of its enormous range and unusual breeding habits, but I think this exciting discovery could become extended to some or most of the other >400 species of blindsnakes. Late last year, herpetologist Yosuke Kojima, a postdoctoral researcher at Kyoto University, and entomologist Takafumi Mizuno, a graduate student at Kyoto Institute of Technology, made a chance finding. They had been close friends since elementary school and shared an interest in behavioral and chemical ecology. 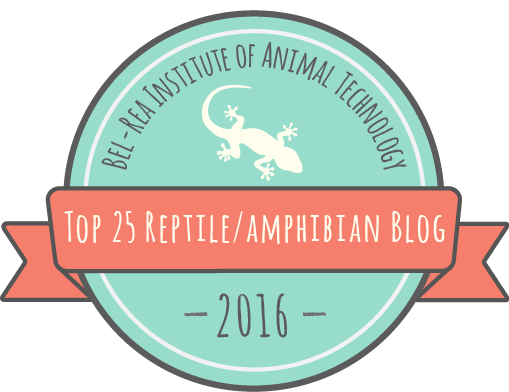 Together, they planned some experiments to learn more about interactions between blindsnakes and their primary prey, ants. 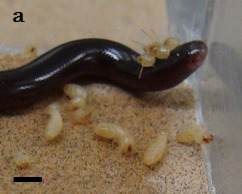 Mizuno's lab also kept colonies of termites (in this case, Reticulitermes speratus), which are also eaten by blindsnakes. Blindsnakes are unusual in that they eat many small prey at a time rather than a few large prey infrequently. Blindsnakes often eat 20 or more prey items at a time, and the maximum number of prey items ingested by a single individual is 1,431 for Anilios (Ramphotyphlops) nigrescens from Australia. Because blindsnakes often gorge themselves when feeding in an ant or termite nest, they often eat very quickly, using a raking technique of the mandibles (in leptotyphlopids) or of the maxillae (in typhlopids). Nate Kley's lab at Stony Brook University has taken some fantastic videos of blindsnake feeding techniques. As Mizuno fed termites to the blindsnakes, he observed something very unusual. The blindsnakes typically grabbed and swallowed the termites backwards. Most snakes usually swallow their prey head-first, so this was weird enough. But, it gets weirder. Often, when the snake had maneuvered a termite so that only its head stuck out of the snake's mouth, it would rub its face on the bottom of the tank, decapitating the termite. All of the termite soldiers and about half of the termite workers offered to the blindsnakes were decapitated. Occasionally, a snake would regurgitate a termite that it had consumed whole, decapitate it, and re-consume the body. Decapitated termite heads became attached to the back of the snake’s head or were scattered around the bottom of the cage. The snakes never ate the decapitated heads. There did not appear to be a cost to decapitation—whether a snake decapitated a termite or not, the time required to completely ingest it was about 3 seconds. However, twice blindsnakes were observed swallowing termites head-first, which took only about 1-1.5 seconds. This may not seem like a big difference, but when you're eating hundreds or thousands of prey items in one sitting, it can add up! Why do blindsnakes remove the heads of their prey? 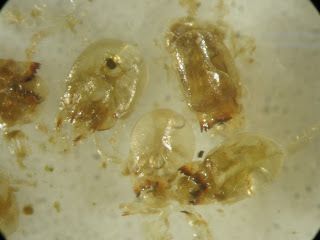 One reason might be that termite heads contain glands full of toxic chemicals called terpenes. But, unlike predators that remove the skin of various amphibians to avoid the toxins in their skin glands, blindsnakes don't always remove the heads of their prey, suggesting that they aren't that susceptible to terpene poisoning. It's even been suggested that some blindsnakes might be sequestering defensive chemicals from the ants and termites that they eat, just as gartersnakes sequester tetrodotoxin from newts, in which case they might actually prefer the part of the termite with more chemicals. 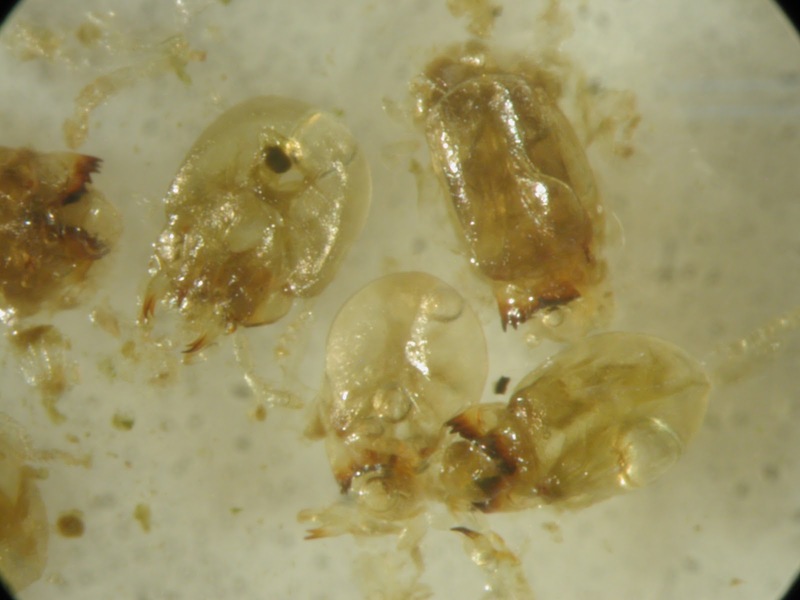 A more likely hypothesis is that the heads are less digestible than the termites' bodies. Between 26 and 100% of the termite heads consumed by blindsnakes in Mizuno & Kojima's experiment remained undigested in the snakes' feces. Additionally, the snakes preferred to eat the worker termites rather than the more heavily-armored soldier termites, and the few soldier termites they did eat were newly-molted. Removing the termites' scleritized heads might allow blindsnakes to pack more soft, squishy bodies into their stomachs, maximizing the nutrition they get out of their meals. It's a bit like you or me peeling a banana or an orange, or removing the husk from a coconut. Since soldier termites have pinching mandibles, removing their heads might also prevent the blindsnakes from being bitten from the inside, which is a bit like you or me...removing the horns of a cow before eating it, if we ate cows alive and whole, I guess? Since snakes don't have hands, they've got to remove any indigestible parts using the only maneuverable part they do have—their jaws. Unlike other blindsnakes (which use bilaterally synchronous jaw movements similar to those of all other vertebrates) but like alethinophidians, typhlopid blindsnakes can move the left and right sides of their highly mobile upper jaws independently and asynchronously. 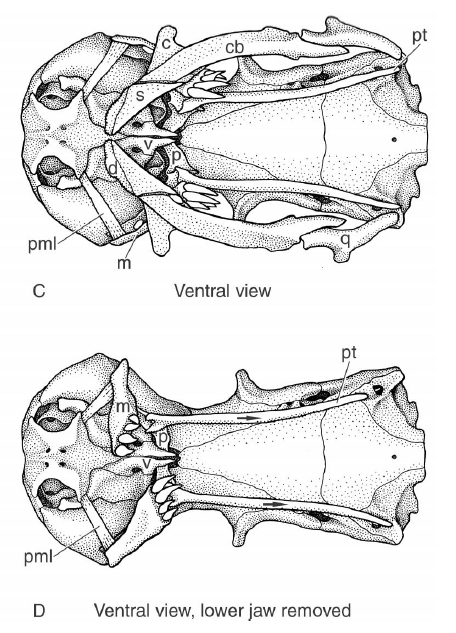 Despite its sophistication, the ratcheting movements of their maxillary raking mechanism are insufficient, by themselves, to allow them to decapitate their prey. We must await further functional-morphological studies to assess the role of the toothless lower jaw, which could act as a wedge or blade, in this process. Since snakes cannot really "bite", arthropods, with their jointed limbs and bodies, might be the only type of prey that a snake could pull apart. There are a fair number of snakes that eat arthropods, but most of them are relatively obscure. 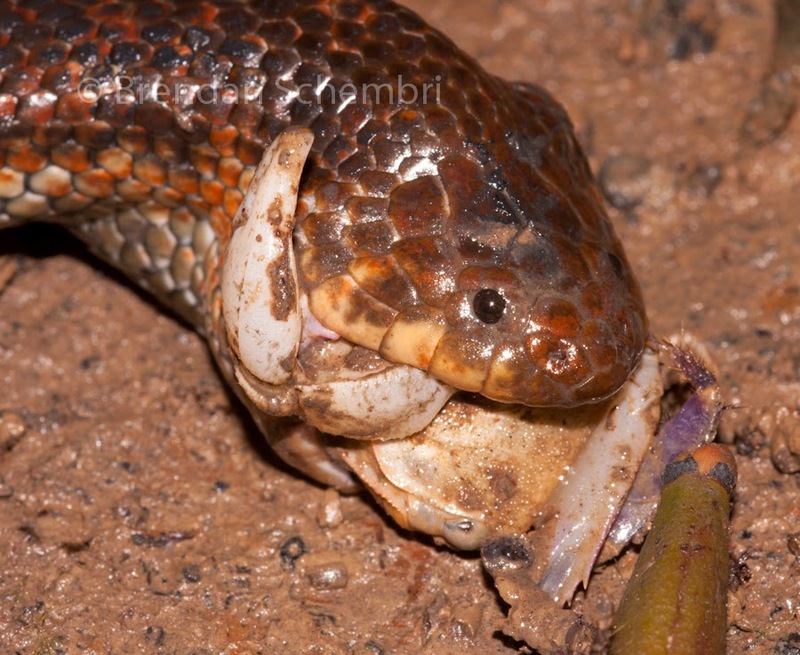 Besides the crab-eating snakes, one might look for prey-dismembering behavior in sonorines, a tribe of desert-dwelling snakes from southwestern North America, other North American snakes such as the colubrines Tantilla and Opheodrys and the natricine Regina, the dwarf racers of Africa and the Middle East (genus Eirenis), the centipede-snakes of Africa (genus Aparallactus), or certain kukrisnakes (genus Oligodon). 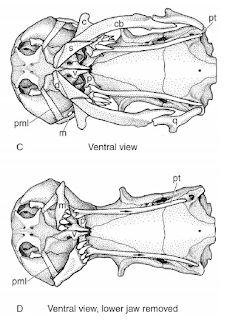 In addition to the typhlopid blindsnake in this study, two short notes from the 1950s and 60s document similar decapitation behaviors in two different species of leptotyphlopids (Epictia goudotii [formerly Leptotyphlops phenops] from Central America and Rena dulcis [formerly L. dulcis] from Texas), despite their radically different jaw morphology. I won't be surprised if it turns up in other scolecophidian families as well, since this most-basal group of living snakes probably co-evolved with the early radiation of ants and termites, their favorite prey. Thanks to Brendan Schembri for the use of his photo, and to Takafumi Mizuno and Yosuke Kojima for giving me the opportunity to write about their discovery in advance of its publication and for translating it into Japanese.